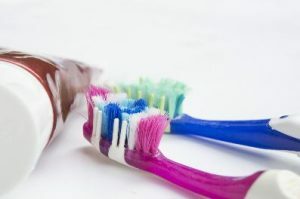 A Dentist in Virginia Beach Says To Spring Clean Your Medicine Cabinet! And of course, it’s also a wonderful time to do a thorough spring cleaning of your house. Along with vacuuming under the beds and washing your curtains, why not take a peek inside your medicine cabinet? If you’re like most people, you have quite a supply of old or outdated oral care products. As a dentist in Virginia Beach, we wanted to write a blog about taking spring as an opportunity to start fresh with your dental hygiene supplies. You’ll feel great heading into summer knowing that you’re armed with everything you need for a beautiful smile! This is one of the most common hygiene tools that people use for too long! One of the most common telltale signs is when the bristles become frayed or begin to splay out. But even if your bristles look fine, the American Dental Association recommends replacing your toothbrush every 3-4 months. You’ll definitely be able to tell that it does a better job than an old one. Also called interdental brushes, these look like tiny pipe cleaners on the end of a handle and are perfect for cleaning in between wide spaces or under bridgework. Although you can certainly rinse these handy tools in between uses, they still wear out with time and will work much better if they’re replaced regularly. If you’ve had the same bottle of mouthwash in your bathroom for years, it might be time to take a peek at the expiration date! Active ingredients, like fluoride or antibacterial agents, can lose their effectiveness over time. Remember, if you’re putting in the time to use a product like this, you may as well get as much benefit as possible from it! If you’ve done at-home whitening and have a supply of professional whitening gel, you might want to check to see how long you’ve had it. According to your family dentist in Virginia Beach, it can really lose some of its “oomph” over time, and may not give you the results you’re after. Refrigeration is a great way to extend the shelf life of whitening gel, but it won’t extend it forever! It’s not uncommon to have multiple formulas of toothpaste in your bathroom. After all, sometimes you just need it for something specific! But say you have a whitening formula, one for sensitivity, and one for tartar control, you may want to make sure you haven’t had any of them for over a year. When it comes to dental care, it’s about more than just your habits – it’s also about how effective your products are. By spring cleaning your medicine cabinet, you can be sure you’re using the best! Dr. Stephanie Santos and Dr. Vinita Folck are general, restorative and cosmetic dentists who are passionate about providing their community with outstanding dental care. They strive to help their patients get the most from their hygiene routines, and are firm believers that oral care products work the best when they’re fresh. If you have any questions, they can be reached via their website or at (757) 499-9639. Comments Off on A Dentist in Virginia Beach Says To Spring Clean Your Medicine Cabinet!